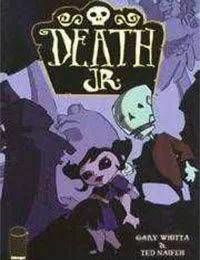 The comic follows Death Jr. (also called DJ) and some of the mischief he gets into with his friends Pandora, Seep, Stigmartha, and finally Smith and Weston the conjoined twins. Being the son of Death is not the easiest thing! Especially with some of his enemys lurking around.